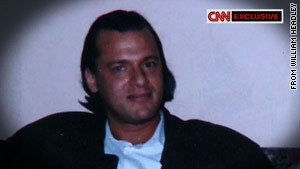 David Headley, 49, pleaded guilty in a federal court in Chicago to a dozen federal terrorism charges. Chicago, Illinois (CNN) -- A Chicago man charged in two international terror plots, including the 2008 attacks in Mumbai, India, pleaded guilty Thursday to a dozen counts against him and now will not face a trial. David Headley, 49, pleaded guilty in a federal court in Chicago to a dozen federal terrorism charges. Authorities said he scouted out targets for the terrorist attacks in Mumbai that killed more than 160 people and planned an attack on a Danish newspaper that published cartoons depicting the Prophet Mohammed. Headley, who was born in Washington, has agreed to cooperate with the government and testify before a grand jury. He could have faced the death penalty if convicted, but in exchange for his guilty plea and cooperation, the government has taken execution off the table. However, he will not be sentenced until after the conclusion of his cooperation, the Justice Department said. According to sentencing guidelines included in the plea agreement released Thursday, Headley is expected to serve a life sentence in prison. The agreement says he will not be extradited to India, Denmark or Pakistan, where authorities say Headley trained for the Mumbai attacks. He has been cooperating with the government since he was arrested October 3 in Chicago, authorities said, although he originally pleaded not guilty to the charges last year. A U.S. official says he has provided "information of significant intelligence value." They are continuing to question him. Authorities said Headley attended training camps in Pakistan operated by Lashkar-e-Tayyiba and received instructions in 2005 from three members of the group to travel to India to conduct surveillance. He traveled to India five times leading up to the Mumbai attacks, and took video of sites that included Taj Mahal Hotel, the Oberoi Hotel, the Chhatrapati Shivaji Terminus train station and the Chabad House, the plea agreement said. The two luxury hotels, the train station and the Chabad House, a Jewish center, were among the places attacked with guns and grenades during three days in November 2008. The United States blames Lashkar-e-Tayyiba, which the U.S. considers a foreign terrorist organization, for the attacks. Six Americans were killed in the attacks. Headley also admitted that in early November 2008, a Lashkar-e-Tayyiba member in Karachi, Pakistan, instructed him to scout the Copenhagen and Aarhus offices in Denmark of the Morgenavisen Jyllands-Posten newspaper in preparation for an attack. The newspaper had published controversial cartoons depicting the Prophet Mohammad. The alleged plan against the Danish newspaper was never carried out. According to the plea agreement, Headley also took surveillance outside the newspaper's offices and went inside on the pretext he was seeking to place an advertisement. An official familiar with the investigation said that a secondary inspection of Headley when he returned to the U.S. from Europe on August 5 provided some significant leads that pushed the investigation forward before his October arrest. The secondary inspection was prompted by a Customs and Border Protection lookout issued after CBP had gathered fragmentary information about Headley -- a first name, travel itinerary and a timeline. The plea agreement also says that Headley met in Pakistan with Ilyas Kashmiri, an alleged leader of Harakat-ul Jihad Islami, a group the U.S. Justice Department said has "trained terrorists [and] executed attacks in the state of Jammu and Kashmir under Indian control." Kashmiri also is alleged to have links with al Qaeda. Kashmiri told Headley he had a European contact who could provide Headley with money, weapons and manpower for the attack on the newspaper, the plea agreement says. He also told Headley that the attack should be a suicide attack, it says. "Among other details, Kashmiri stated that the attackers should behead captives and throw their heads out of the newspaper building in order to heighten the response from Danish authorities," the plea agreement says. Kashmiri said the "elders," which Headley understood to be al Qaeda leadership, "wanted the attack to happen as soon as possible," the plea agreement says. An indictment released in January said that the plan was put on hold because of pressure after the Mumbai attack. Kashmiri and Abdur Rehman Hashim Syed, or Abdur Rehman, a retired major in the Pakistani military, have also been indicted in the plot against the Danish newspaper. Chicago resident Tahawwur Rana, a Canadian citizen, was indicted on three counts alleging material support of the Denmark and India plots and support of Lashkar. He has pleaded not guilty to the charges, according to media reports. Neither Syed nor Kashmiri are in U.S. custody. In response to Headley's guilty plea, Homeland Security Secretary Janet Napolitano said Americans face "real threats from homegrown and international terrorists, and we will continue working to disrupt, dismantle and defeat terrorism at home and abroad to ensure the safety and security of the American people."